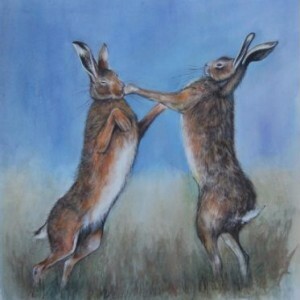 Sue was born and educated in Birmingham and studied art and design at Birmingham College of Art. 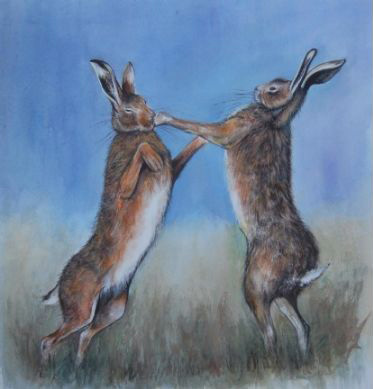 She began her career as a graphic designer but after getting married and moving to Stourbridge she decided to focus entirely on painting and since then has exhibited widely. 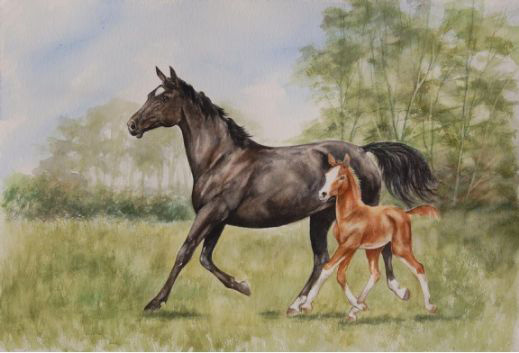 She draws inspiration from local landscapes, but loves the chance to paint pictures with an equestrian theme. 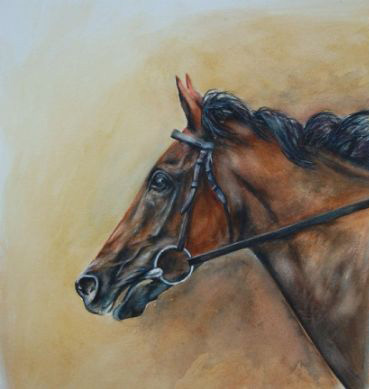 Her work has been accepted and exhibited at the RBSA galleries in Birmingham and with the Society of Equestrian Artists at the Mall Galleries in London and Palace House Gallery in Newmarket. 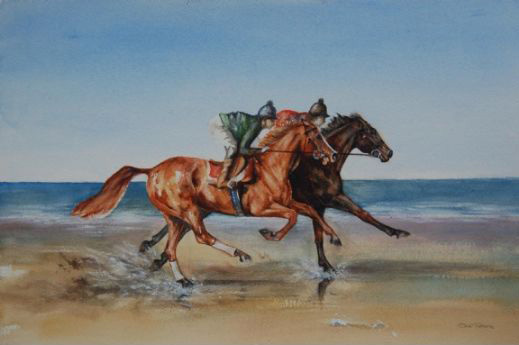 She is also a member of the Birmingham Watercolour Society. 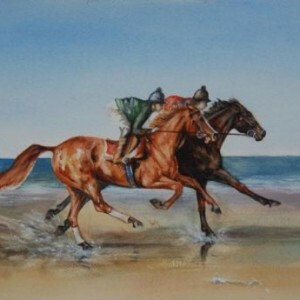 Sue paints in all media and has received several awards for her work. 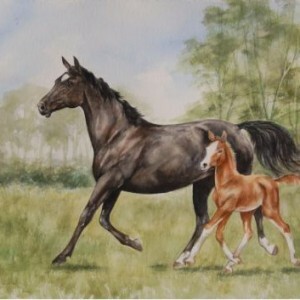 She publishes her own prints & cards from some of her original paintings. Her work can be found in private collections in the U.K. an abroad.